I first wrote about the shortcut to my home from the bus stop, back in OCT'13. You can read about it here. 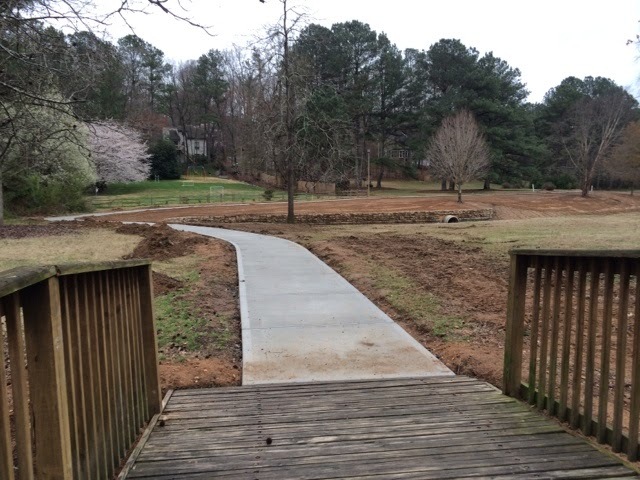 I am eagerly awaiting the completion of the path around the lake near my house. When completed, it will save me roughly 15 minutes of intense climbing. I have been checking on the progress, as this is both a good way to avoid speeding cars on Riverside road and a scenic alternative. 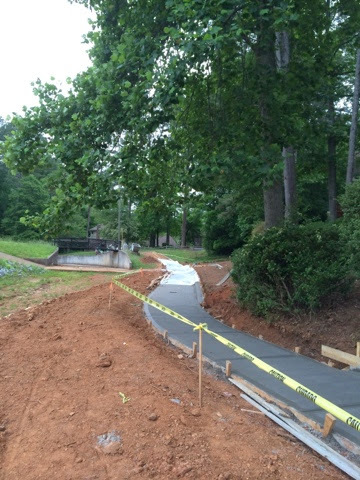 Well folks - I am happy to report that all that needs to be completed is less than 100 feet of concrete work. Plans are also to have the lake completely filled soon thereafter. It is going to be great. As you can see in the picture above, you can almost see Riverside Road. Now, this is really going to be awesome. I am keeping my fingers crossed that speed demons will keep away from this path and let the people with proper etiquette enjoy the path.